Oz, your knowledge is only exceeded by your flair for the flamboyant attire, thank you so much for sharing your extensive knowledge with the rest of us. learned a lot, and enjoyed learning it. You and John make quite a team. Ray, thank you so very much! (PT) Muito bom, Muito bom mesmo. Excelente! (ENG) Very good, very good. Excellent! And let me tell you that I ave already started some of the tricks that I learned! I’m glad you got some useful tricks. Thanks John. I love it when technology tries to be helpful! Looking forward to the course. 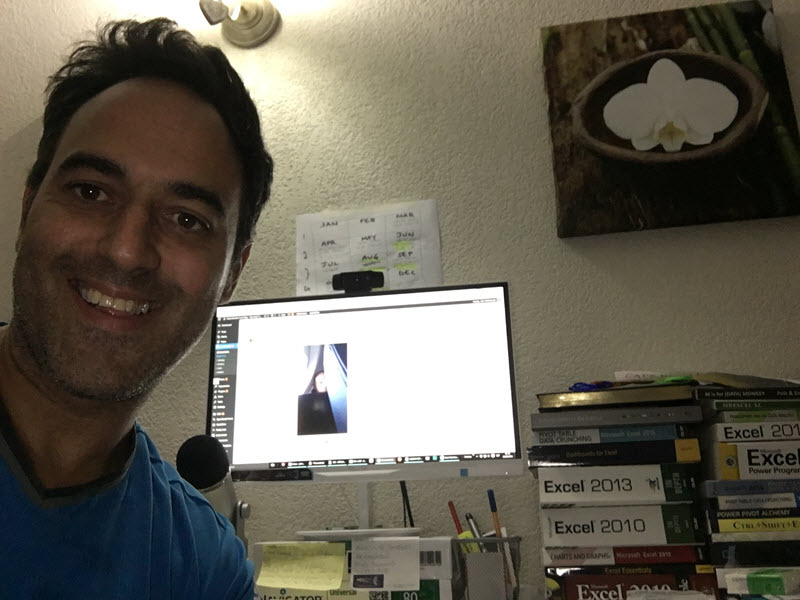 We are in an age where Excel and online training is at its most powerful so we all have to take advantage and improve our skills! 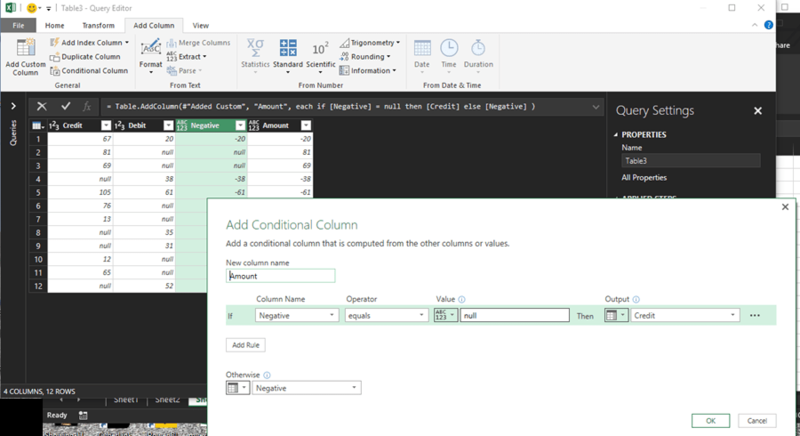 Using the knowledge from your 3 interesting learning videos, I am trying to create a power query that will merge 2 columns (one is debit and the second is credit, all amounts are positive in the original file) into one (new) column while in the new consolidated column the credit amount will be a negative number. How do I do that? Add a custom column called Negative. That just switches all of the signs in the Debit column. Add a conditional column called Amount and it looks for null in the Negative column. If there’s a null, it retrieves the value in the Credit column. If it’s not a null, it retrieves the value from the Negative column. 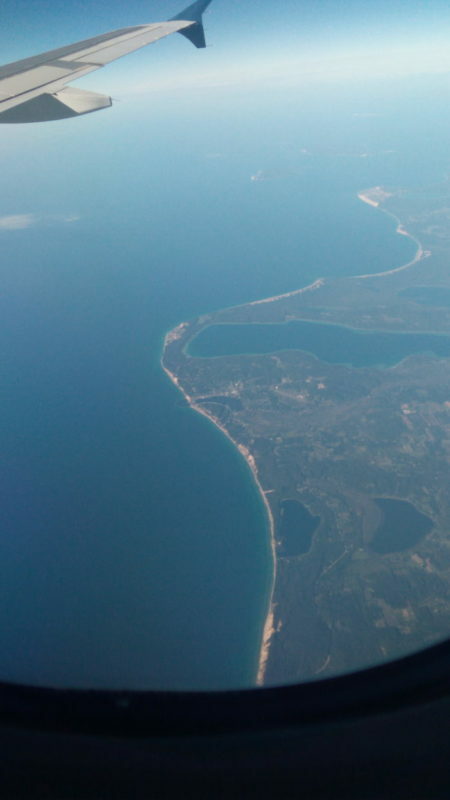 Answering your questions from somewhere over Lake Huron. Flying back to Portland, Oregon after a great visit in Toronto for the ModelOff Global Training Camp where I taught a data cleansing workshop. 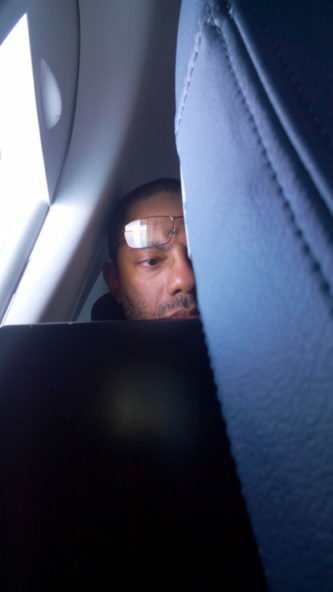 Hey Oz, you are 30,000 feet up in the air and I am only 100 feet up in the attic answering questions and it is 1am on Sunday morning, the kids are asleep and this is MY TIME!!!! To all our fantastic students who have sent in their comments, a big THANK YOU!!! Look at all those Excel books! Thank you for taking the time to share your knowledge today. I am an analyst new to my role and I am experiencing an issue that I have not been able to resolve. I have data that includes (Name, Process, Hours Worked, Rate, Goal). The data is summarized and consolidated on a weekly basis and placed in a pivot table. The column named Goal, should never change, but I nor my instructor at school can tell me how to pivot that one column so that it does not change into a count or sum column, any ideas? Thanks again, I really appreciate your time and look forward to learning about your power query classes, I hope they can help me from spending hours of manipulating time. 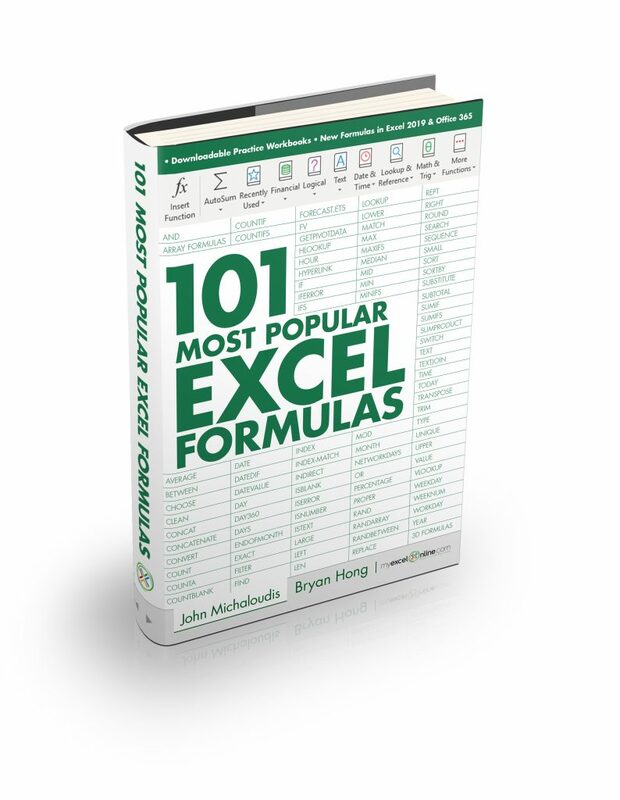 It is our pleasure to share our Excel knowledge to the masses, we love it! If you drop a Field (e.g. Goal) into the Values area of the Pivot Table, you will get either a Sum (if Goal is a values column) or a Count (if Goal is a text column). You need to drop the Goal Field in the Rows area of the Pivot Table to see its unique cell values. I hope that this answers your question, if not, please reply with a sample workbook so we can have a look at this in better detail. What’s the advantage of writing the formula to add a column? I always just click on the down arrow to expand binary. Thanks Oz. Love your Friday funk too! Can you tell me where your question comes from regarding the difference between a formula and expanding the binary? I want to look into that. I wonder if there’s been an improvement in PQ since that video was made. The development team makes monthly updates and they do everything from change the look of an icon, to adding new features. So, let me know. You got me curious. Oz – took a second look and the pivot table somehow grouped the date field. I ungrouped and voilà! Problem solved. Thanks for your patience! GREAT!! Thanks for the update. I’m glad you got it working. This is a new feature in Excel 2016. Whenever you drop a time-related field e.g. a Date field in the Pivot Table Rows/Column areas, it automatically groups this! I have a question – re consolidating multiple files. If the files have multiple worksheets, how do you specify which sheet should be used in the consolidation. I tried using the steps in the video, but could not see where to identify the sheet to consolidate. Here, at this Navigator pane is where you can select the sheets you want to import. Unfortunately my data did not arrive with all the same formats and columns. I spent a ton of time cleaning the data to be have it ready to combine it using a query. It would be nice to be able to select the columns in the worksheets so I didn’t have to do so much work to prep. Linda, you’ve got me curious. Sometimes data sets come in different formats and maybe the data has to be segmented and queries done separately. Thanks so much for helping us, I really learned a lot from you and you turned excel from misery program to beloved one. My question is what if those five sheets contain different data? One of them have numbers and another have sum behavior rate and another have training schedule….. Is that possible to collect them all together? The short answer is: yes, you can bring all of that data together. The bigger question is how to ensure that you can work with the different types of data since I imagine you don’t want to just stack the data up. Maybe you want to merge it rather than just stack it up. What’s your objective? Excellent. I will definitely take the course. Quick question: After I create a table with Power Query and then create a Pivot Table, when I drag my Date field into rows or columns, it automatically creates a Quarter and Year field and I can’t get the date format that was in the table. Any thoughts? Have you tried to change the format in the dropdown list in the pivot table? I’m curious what you’ve done already. Another really helpful video. I’ll be looking for the info about your upcoming course. You’ve certainly taught me some things in the videos to date and whetted my appetite to learn more. Jump on in! John and I look forward to seeing you there. 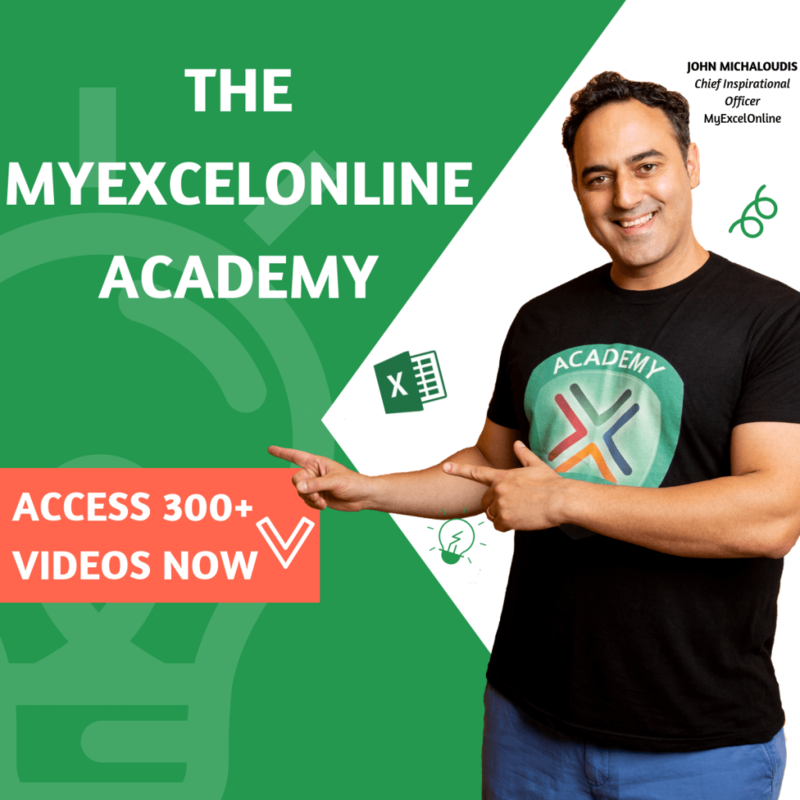 We are ready to feed your Excel appetite with awesome content inside our online course! Guys, these videos are absolutely amazing and I am enjoying trying to find ways to implement power query into my workflow! I have a database that I need some help with if possible… I work in accounting in the construction industry. I need to create a job schedule each month. This requires me to download data from our accounting software, spend 30 minutes to an hour manipulating, then a lot of hard-keying from that data into another spreadsheet for my final result. The data needs a lot of cleaning which is why I’ve defaulted to manually entering the data in my final spreadsheet. I attempted to use power query to produce a table that I could then use some vlookups to create my final sheet but ran into a 1,000 value limit. We have a couple thousand jobs in our accounting system so when I want power query to produce a table it is viewing each job number as a different value, so it hits a 1,000 value limit and won’t show me any other values. Thank you and keep up the great work!!! Nathan, to separate the columns, I would carefully use the spaces as delimiters. Split off the Number first, then split off the Contract, Cost, and Billing amounts. That would leave the Job name intact regardless of how many spaces. 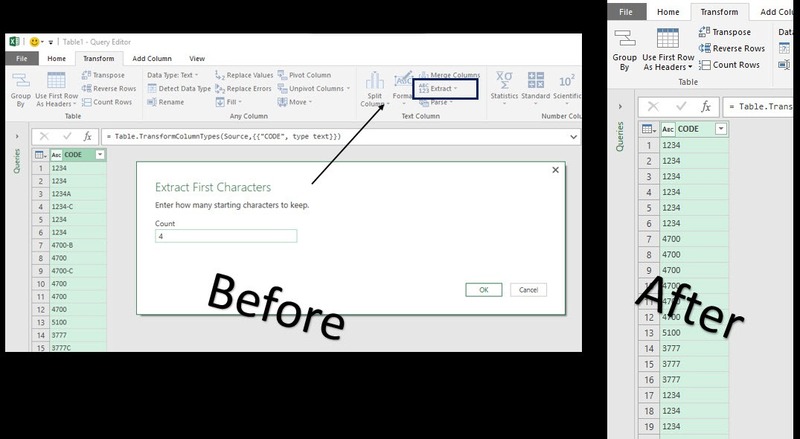 The image below shows “Extract Value” and how it’s set to extract the first 4 characters in the column. I’m using Excel 2013. When loading multiple workbooks, I create the Custom Column (named Import) and then expand that column, selecting data only. This results in 2 tables for every file to be loaded. If I go back a step and then expand the Import column and select data and kind, the results show 2 tables for every file, with one table a sheet and the other table a defined name. I can filter to the sheets and clean up the data from there. However, I am unable to refresh to add new data because Power Query is finding the “defined name” sheet for each new workbook. How do you fix this? Dawn, I’m really curious about what’s going on. Are you loading the workbooks into a dedicated folder and importing from that folder? Is there a way for you to load a sample of the data so that I can see what you’re doing? Can I get your step by step instructions regarding your third video of Consolidated Multiple Files and Sheets Power Query video, because I cannot hear anything from your host because I am hard of hearing. I hope this helps you out Frank. How can I take different worksheets that have different columns but are have the same client ID number? I want the data to be condensed by the client ID and have all of the columns from each worksheet listed. I also have data that will change from year to year, specifically there will an extra column with 2016 data and so on. Can both of these be fixed with a single power query? Clay, you might find insight in this series of videos I did showing the Full Outer Join and various merge techniques in Power Query. You guys are awesome. I have a question. I am learning SAS nowadays and liked one feature in that. SAS can separate data even the file has two different delimiters. Eg. A text or any file is having comma and Pipe as a delimiter. I know SAS is a dedicated software designed to handle such vulnerabilities in the file but I am giving you a hint to give another dimension to your creativity. When you mention “two delimiters” are you saying that there would be two delimiters in the same column or cell, and SAS can parse them in 1 step instead of 2? I have no consolidation “issues” but as i asked John (if possible) for more info on “adding new data to existing data” (actually, i thought that this would mostlikely be a far to simple question and touching the ridiculousness ☺), i just would like to mention that John already delivered quality, and now the two of you = quality*2=excellent. Adding data to new data is the no1 pain from Excel users worldwide. There are old-school ways of doing this, with Vlookup to bring in data from another Table or Sheet but with Power Query…VLOOKUP is DEAD!!! 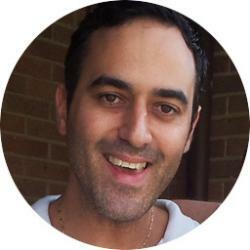 Oz is a great teacher and I love his enthusiasm, that is why I brought him in to the MyExcelOnline family!